It’s sometimes tough to remember the days when we didn’t have the convenience of a voice assistant. Whether it’s through your smartphone or a home device, it’s as though a new one is popping up everyday. In the U.S., this type of technology is always available for us in the English language, while that’s not always the case for other countries. This week, we have an international app that takes the concept of voice assistants and create its own. Yandex — available for iOS and Android — is particularly known as a Russian search engine. Since it’s been around for quite some time, Yandex has also branched out into language translation, a real-time bidding platform, and antivirus software. Most recently, it also introduced its own voice assistant, Alice, and integrated the new feature into the Yandex app. While the app can be downloaded in Ukrainian and Turkish as well, Alice can only speak Russian at the moment. Perhaps the most unique thing about the new voice assistant is the fact that its developers based Alice’s voice off Spike Jonez’ movie Her. For anyone who’s unfamiliar, the premise of the film involves Theodore Twombly (Joaquin Phoenix), faling in love with an operating system named Samantha. Yeah, you read that correctly — but it also helps to know that Samantha is played by Scarlett Johansson, whose voice has a soothing, friendly tone to it. To create the same tone, Yandex specifically used the recording actress who dubbed the voice of Samantha in the Russian version of the movie. 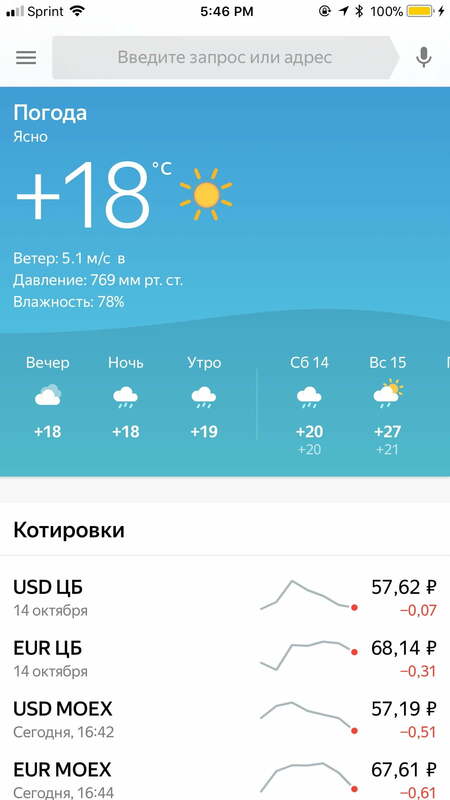 While Alice is here to help inform Russian users of the weather, plan routes to destinations, or learn the latest news, she’s also here to talk to you about nothing. The company recently added a neural network based “chit-chat” feature to allow you to have free-flowing conversations about anything you’d like. 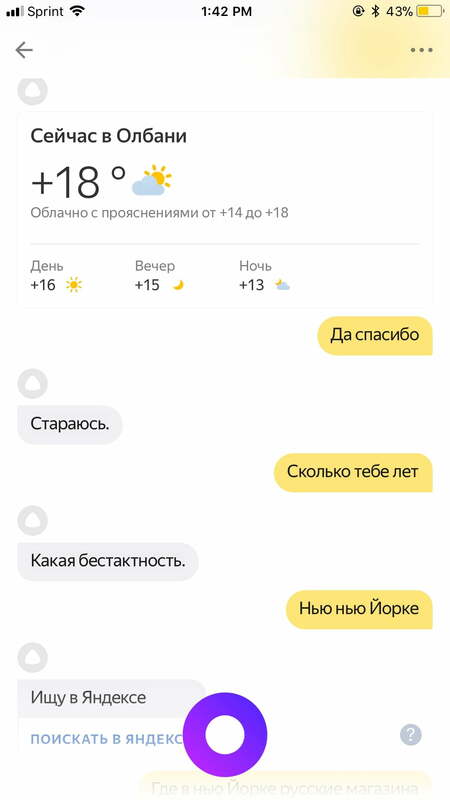 Yandex claims it’s a feature that sets it apart from the crowd of other voice assistants, but I think it’s going a bit overboard with this Her theme. As a Russian speaker myself, I decided to test out Alice along with my dad, who immigrated here from the Ukraine when he was young. I was particularly excited to speak to Alice because I wanted to see how bad my Russian has truly gotten over the years. I wondered if she would still be able to understand what I was saying. If you really want to know how terribly I speak it, let’s just say I sound like someone who’s in the beginning stages of learning the language, rather than someone who spoke it as their first language. As for my parents, their Russian accents are barely even there anymore, but growing up, I remember those old school voice assistants — known as navigation systems — had some trouble understanding them. 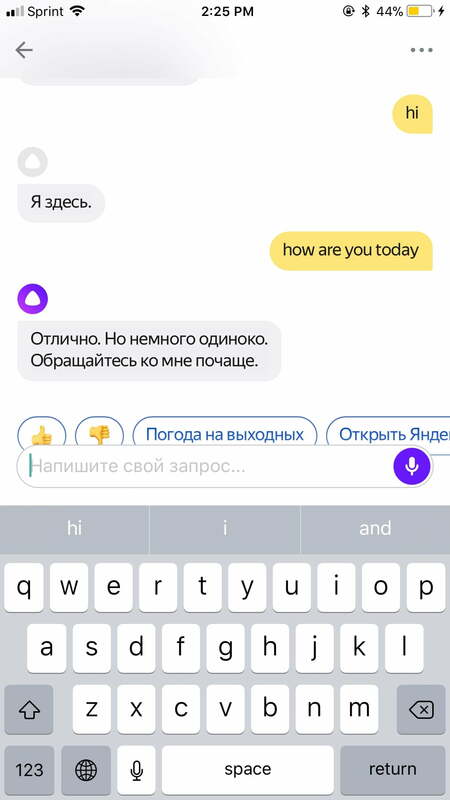 I was interested to see how much easier it would be for my father to interact in his native language, especially given that Alice was created with SpeechKit — which is Yandex’s toolkit that enables her to understand your Russian with close to human-level accuracy. But in my opinion — and based on experience — she might have actually understood me better than humans do. 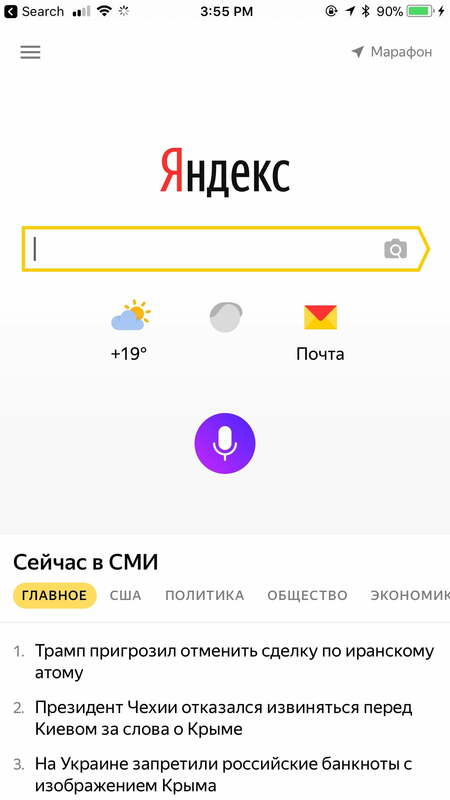 The Yandex app looks extremely similar to the Google Assistant app interface. You have a newsfeed of information from weather to your email, along with news headlines. When it comes to using Alice, all you need to do is click on the microphone and tell her your question or command. There’s also the option to type it out instead, and Alice will still understand you even if you type in English. But for maximum effect, you’re probably better off typing to her in Russian by adding the keyboard to your device. Even if Alice doesn’t get your question correct the first time, there are options presented to you to choose from instead. You can also send a thumbs up or thumbs down symbol to let her know whether or not she was accurate in understanding your response. For both my dad and I, speaking with Alice was actually a breeze. Even though my Russian isn’t perfect, she was still able to pick up on what I was saying. As for my dad, he said that if Yandex were available in the U.S., he would prefer to use it. Though I thought it strange to base a voice assistant off of a movie like Her, I have to admit that speaking to Alice was entertaining. She was not only full of jokes, but would also give in-depth answers to all of your questions whether it was the weather or directions. Yandex also did a great job of making her voice sound more natural than I’ve heard with other voice assistants. The most impressive factor was definitely how easy it was for her to understand me, when my Russian isn’t even that great. Perhaps those other companies could take a few hints from Alice herself.